The Future City signed "Alain le Drimeur" (a Frenchification of "Alan the Dreamer") was published in 1890, probably inspired by Edward Bellamy's best-selling Looking Backward, 2000-1887. The Future City postulates that the Conservatives left France in 1891 to emigrate en masse to the island of La Réunion, where they established a Roman Catholic kingdom that deliberately cut itself off from the homeland for a century. The book begins in the early years of the 21st century when two young men from the island decide to discover what happened to France since it was abandoned to secularist Republicans. The result is not a straightforward future projection so much as a kind of anticipatory alternative history. 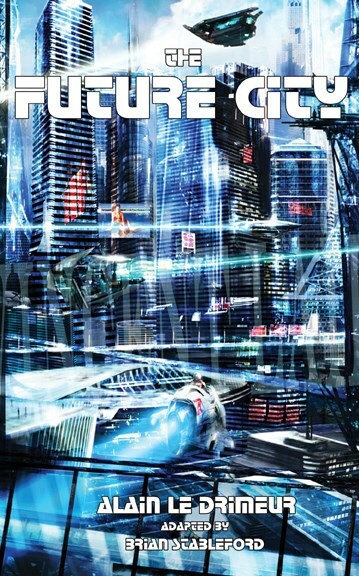 The Future City is a profound and interesting text, one of the most significant contributions to the French futuristic fiction of its era.